The European Commission’s Directorate-General for Internal Market, Industry, Entrepreneurship and SMEs (DG GROW) and the Executive Agency for Small and Medium-sized Enterprises (EASME) are organising an information webinar on the new European Cluster Excellence Programme call for proposals that was published on the 8th January 2019 on the Funding and Tenders Portal. The webinar will take place on 12th February 2019 at 10:00 am. The aim of the webinar is to give an overview on the main objectives of the Call and the implementation of the ClusterXchange pilot scheme. EU officials will guide potential applicants through the practical aspects of preparing and submitting proposals, and provide an overview on key financial aspects and support services. The webinar will include a session devoted to answering questions. 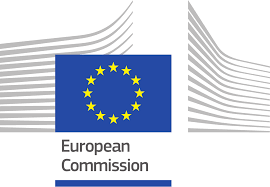 If you have any questions regarding the European Cluster Excellence Programme call for proposals, you can send them to the following email address: EASME-COSME-COMMUNICATIONS@ec.europa.eu by 5th February 2019.